The Old Trafford legend criticised the Spain star for misplacing a "simple ball" during the 2-2 draw to Arsenal last night. Herrera, 29, was attempting to ping a ball to Paul Pogba in the second half but miscued his kick. And Scholes, who did it all with United in a career that took in more than 700 matches for the side, is adamant that someone given that responsibility for such a big club should be able to perform such a basic task. Scholes, a pundit for BT Sport, said: "You have to question the quality of the player. "Now, he's in 15-20 yards of space, it's probably a 30-yard ball – a simple ball – if he's not good enough to play that ball then he shouldn't be at this club." Fellow United hero Ferdinand admitted Scholes had exceptionally high standards when it came to the accuracy of passes. But he added that Herrera – who was arguably to blame to Shkodran Mustafi's goal – made a mistake that was symptomatic of players lacking confidence under manager Jose Mourinho. 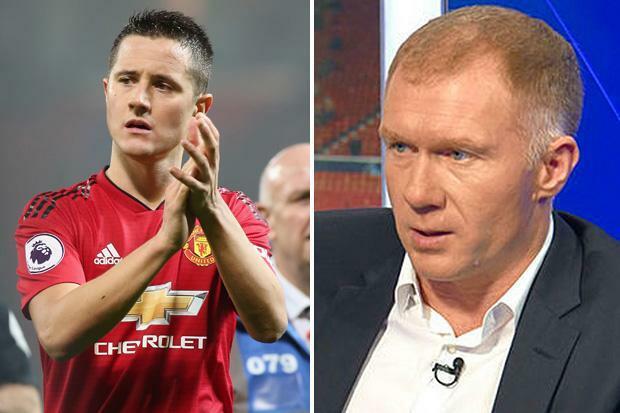 He said: "It is an easy ball and when you hear Paul Scholes say that… he was a player who could put the ball on a sixpence from anywhere on the pitch. "But when you look at that pass it's not a difficult ball to play. I think it's confidence." United came from behind twice against Arsenal but could salvage only a point. And it could have been worse had Alexandre Lacazette's 'goal' not been disallowed. Mourinho welcomes Claudio Ranieri's Fulham to Theatre of Dreams this weekend looking to jump up from eighth in the table.